Another EPT Deauville Main Event has wrapped up, and a previously obscure player scooped it. 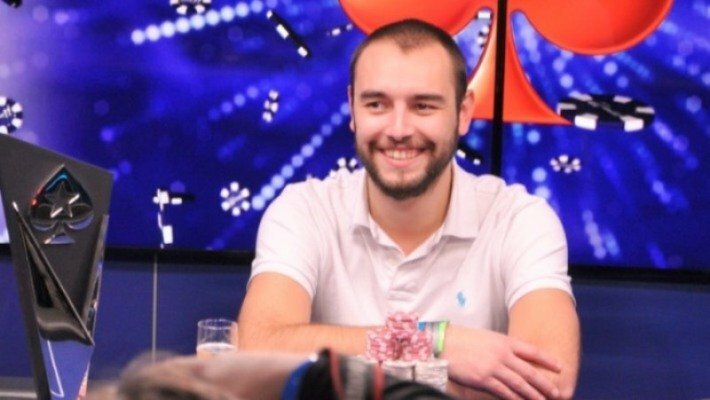 Ognyan Dimov was a virtual unknown in the poker world a week ago, but he’s now one of the most successful Bulgarian tournament poker players of all time, after taking down the European Poker Tour (EPT) Deauville Main Event. Dimov took down a prize of â‚¬543,700 ($615,000) for his triumph, a victory that also made him only the second player from Bulgaria to ever win an EPT Main Event. Heading into the final table, however, all eyes were actually on Romania. More accurately, they were on Dany Parlafes, the player threatening to become the first-ever Romanian to win an EPT title. Parlafes headed into the final table with an enormous chip lead, making him the odds on favorite to come out on top at the end of the day. But local fans still had plenty to root for as well, with four French players still in contention when the final table of eight was reached. They were joined by two Lithuanians, Andrius Bielskis and Matas Cimbolas, to determine a champion. Cimbolas and French player Massou Cohen were eliminated late on Day 5, leaving just six players in contention heading into Day 6. While Parlafes saw his chip lead dwindle throughout the day, he was bolstered by the elimination of French professional Benjamin Pollak in fourth place. That left Benjamin Buhr as the last Frenchman standing, but he would go out in third, eliminated by Dimov in order to even up the chip stacks a little bit before heads-up play began. Still, Parlafes had the advantage heading into the head-to-head battle. The two men would jockey for position for a total of 117 hands, and while Dimov seemed to have the best of the play, Parlafes hung in there, and even had the chip lead for about the first half of the match before Dimov could finally seize the advantage. Even on the final hand, there was still everything to play for. Parlafes moved all-in preflop with his AK of clubs, and was called by Dimov, who held AJ of hearts. Parlafes was in excellent position, and winning that hand would have put him back in the chip lead. But two hearts on the flop gave Dimov hope of making a flush, and the three of hearts on the turn made his hand unbeatable, earning him his first major tournament title. Parlafes took home â‚¬338,700 ($383,000) for his runner-up finish. Overall, the EPT Deauville festival saw few big names take down tournaments, though there were some exceptions. For instance, German pro Davidi Katai took down a Turbo Eight-Handed No Limit Hold’em event, winning â‚¬45,930 ($52,000) in the process. It was one of three cashes during the stop for Katai, who has won more than $6 million in his tournament poker career. The biggest story of the Deauville festival, however, was what took place in the Women’s Event. Designed to be a tournament that women could participate in without feeling like a minority on the felt, the tournament saw 22 men (about a quarter of the field) take part in a tournament they weren’t invited to, but also couldn’t be excluded from under French law. The tournament was ultimately won by one of these men, Derkx Olivier.